Looking to do something different? Perhaps have a personal valet serve you champagne as you meander through the Verde Valley? Maybe make friends with a friendly bald eagle named Sonora? 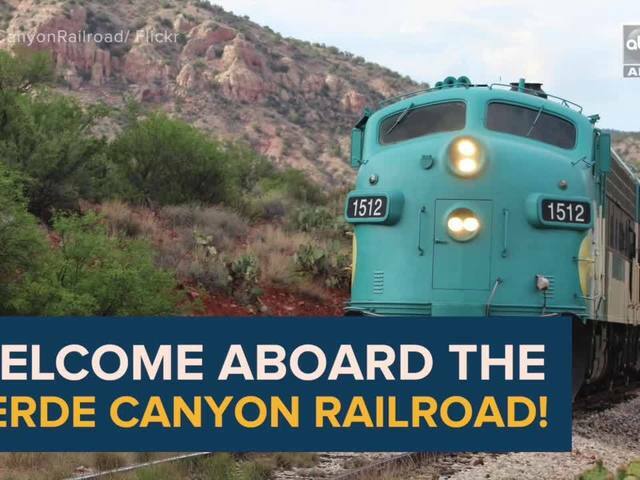 You'll find the Verde Canyon Railroad train depot located close to the mining town of Jerome. Head to Clarkdale for a relaxing adventure through rich terrain where eagles soar from the edges of deep red cliffs. Watch the video and explore the Arizona outback!